When you drive, the second most important thing you should keep your eyes on is the dashboard of your car (the first thing being the road). In space, however, it’s the controls that are the most essential for navigating and operating your spacecraft. From Gagarin to Scott Kelly, here’s a brief visual history of the human-spacecraft interface. If we look at all the main instrument panels humankind has designed and built during the past 55 years, we can see how the display and control system of spacecraft have become more complex and sophisticated and back again. The following set of images will place you in front of dozens of analog and digital instruments, displays, hand controllers, pedals, levers and switches that astronauts, cosmonauts, and taikonauts have used over the years, and what they will use moving forward. 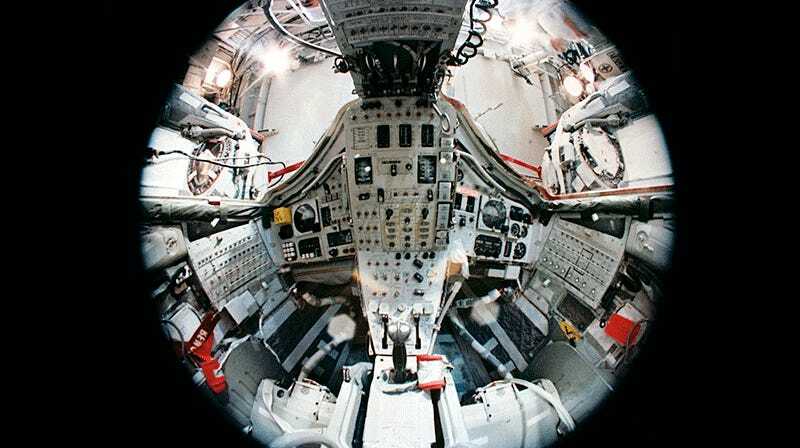 Consider the Space Shuttle, which had nearly two thousand switches and controls; a far cry from the Vostok-1 control board and display, which had only about 25 switches and controls for cosmonaut Yuri Gagarin to use on his historic flight (see the second photo below). Now, the age of touch screens and ever-smarter software is clearing up the spacecraft flight deck. Space Shuttle Atlantis’ new full-color flat panel Multifunction Electronic Display Subsystem (MEDS), also called the “glass cockpit”, 1999. Russia’s Federation spacecraft, Roscosmos’ next generation Soyuz-TMA replacement, 2015.